This month marks the 10th anniversary of the collapse of Lehman Brothers that set off a chain of events that led to the worst financial crisis since the Great Depression of the 1930s. The global financial crisis of 2008 was a watershed moment for the global banking industry as it revealed a pattern of excessive risk-taking by private banks to maximize short-term profits along with shortcomings in the regulatory framework. The financial crisis has reignited an intense debate on the ownership structures of the banking sector and the desirability of direct state interventions in the financial sector. The crisis has challenged conventional thinking on state ownership of financial institutions and forced policymakers to reconsider the role of the state in the financial sector, especially state ownership of banks and other forms of financial institutions. In recent years, there is a growing recognition of critical role state-owned commercial banks, development banks, and DFIs can play through countercyclical lending as well as supporting economic development and structural transformation. The state-owned commercial banks, development banks, and DFIs can finance investments needed for the realization of the 2030 Agenda and the SDGs. The report argues that in the new millennium, the role of development bank goes beyond the traditional framework of correcting market failures and extends to addressing broader societal challenges such as climate change, food security, inequality, and inclusive growth. The report contends that as many more governments are taking a fresh look at various types of state-owned financial institutions, it is essential that greater attention should be paid to their governance, transparency, performance, and public accountability, given their mandate to serve the broader public interest. To effectively contribute to sustainable development, it is crucial that development banks and other state-owned financial institutions should follow principles of good governance in the conduct of their business and take all necessary measures to avoid adverse impacts on human rights and environment, says the report. It provides a set of recommendations for strengthening the management and governance of state-owned banks and DFIs. To download this report in pdf format, click on ‘Download Now’ link given below. The internal documents of the European Commission reveal the disgraceful attempts to push for higher levels of commitments in trade in industrial goods and agricultural products, services and investment liberalisation, geographical indications and government procurement under the proposed India-EU free trade agreement (FTA). 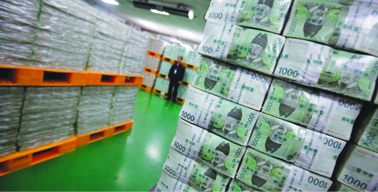 South Korea has seen a rapid financial development in the past decade in line with financial liberalization policies that the government rigorously pursued. The government’s ambition to make South Korea a financial hub in Northeast Asia supported by the self-serving financial industry pushed the financial expansion far beyond the ability of the Korean economy to deal with risks and dangers inherent in financial development. Eventually, the Korean financial sector has become the victim of its own success, suffering ill-fated overstretch. Benefits of the financial expansion for the overall economy remain elusive. The widespread belief that financial liberalization would deliver an efficient allocation of capital and smooth external shocks proved to be an illusion.